At least in one way, I stand out from everyone else at the institute: I've got the longest job title. I'm the institute's dissemination and outreach coordinator. In short, this means that it's my job to make sure that people know what we're working on, who we're working with and what we've learned by working with them. We're going to be generating a lot of news, so we're working hard to make sure that it's easy to follow our work. For that reason, I thought that my first blog post should be a round up of the different ways that you can keep up to date with what's happening at the Software Sustainability Institute. Short updates on what's happening at the institute and in the wider world of software and research will be sent out as news items. For a quick look at these, just take a look at our homepage. Iif you want to make sure that you don't miss any of them then sign up to our news feed. News from the news feed will also be available through our Software Saved Twitter channel (we also use the hastag #SoftwareSaved). This blog won't be limited to posts from me, it will see various people from the institute, and from various different fields of expertise, expounding on favourite topics, talking about their latest project or describing their latest conference visit. The coming months will see the launch of our newsletter Software and Research. It's going to focus on research from the UK and Europe and the software used for it. If you're interested in publicising your research, then please get in touch. 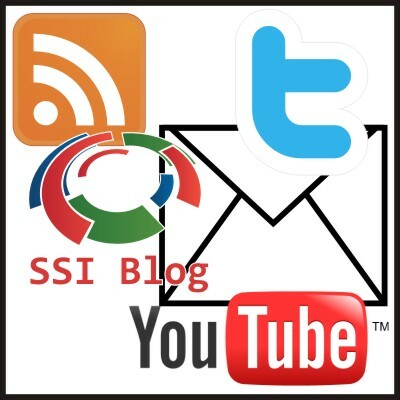 News with more of a slant to the Software Sustainability Institute will be sent out to our mailing list, as will alerts about conferences, calls for papers and alerts about conference deadlines. To sign up to this list, simply send an email to majordomo@lists.ed.ac.uk with the subject subscribe. It's quite possible that I will become relatively unpopular with my colleagues at the institute, because I'll be forcing them to tell me about their work... on camera. These videos, along with screencasts of software that we're working with, will be available on our YouTube channel. We're still very young, so there are no videos yet, but expect to see them in the next few months. That ends this round up of dissemination and marks the end of my first blog post. I think that I've covered all the many different ways that you can follow our work, but I should point out that - even in this world of social networking - we still accept emails!